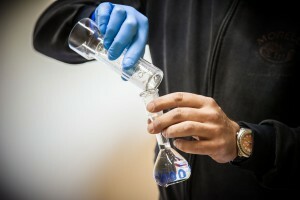 Grappa was concepita by the Salerno Medical School, which around the year one thousand codified the rules for the concentration of alcohol through distillation and prescribed its use for therapeutic purposes. Since then, and until today, grappa has remained a product that country folk obtained in their wine cellars with equipment of various kinds and tried exploit as far as possible even the left-overs from the pressing of the grapes: the so-called marc, that is, graspi, skins and seeds remaining after the separation of the must. Until the nineteenth century, the term grappa referred to the brandy of the marc in its general sense, and in each Italian region it was called with a different name, and produced it with criteria closely linked to local customs. Love by the working classes it was traditionally looked down on by the upper classes. However for some time now everything has changed. The brilliant intuition of the single vine grappa goes back to the seventies, thta is, grappa obtained from the marc of a single variety of prized grape. Thus were created products with new aromas and bouquets, soft, fruity, skilfully enhanced by bottles and labels that were innovative in manufacture and in design. The innovation that continues throughout the sector has swept away the old image of the “poor” product, so that today we no longer talk of a single type of grappa, but of many different variations: in addition to the single vine grappas, there are the torbato, the barrique, the special grappas, those suited to accompanying a Tuscan cigar. In Tuscany great products are obtained from Sangiovese marc both from Chianti Classico and from Montalcino, characterized by softness and bouquets of small mixed berries that manke the taste and the aroma pleasing. If it is young, transparent and colourless, it should be enjoyed at the end of a meal at a temperature of between 10 and 15 degrees, while aged grappa (matured in wood, with a variable colour from light yellow to amber) is best appreciated at around 18 degrees. The ideal glass in both cases is the small tulip glass, with the narrow top rim, which should be less than filled to allow the brandy first to give off, then to concentrare its aromas towards the top. When it is good, grappa must not be rough to the palate, it must leave a long and pleasing aftertaste and convey a broad sensation of warmth. Even if grappa is drunk mainly neat, there are many who have started to try out mixtures, cocktails and combinations with chocolate, milk, honey and mint. Would you like to try an excellent “caffè corretto”? Or do you prefere to drink grappa as a “digestive”? Discover how it should be kept, the various ways of savouring it and how it can become a truly beautiful gift. First fundamental rule: keep the bottles of grappa in a vertical position, otherwise you run the risk of the pieces of cork reaching the drink. The second important aspect: avoid direct sunlight and too intense heat, which cause the volatilizing of the aromatic substances. The art of drinking grappa has very precise rules. Fill the glass a quarter full and wait from 10 to 15 minutes. Inhale briefly and enjoy its bouquet. Avoid holding the nose for too long over the glass, because the alcoholic vapours tire the sense of smell: it’s better to sniff repeatedlyat short intervals. Then take a little sip, wash it round your mouth and swallow. Each grappa needs the right temperature: young grappa is drunk at between 10° and 15°C, while the aged ones give of their best at 16-18°C. In the Italian tradition, the first and most common use of grappa is at the end of a meal. Grappa has in fact excellent digestive properties, it is a true cure-all for a good digestion. But there are many different ways of drinking and tasting grappa and they also depend on the type of grappa, whether young or aged. With Morelli grappa the classic “caffè corretto” is even more pleasing. 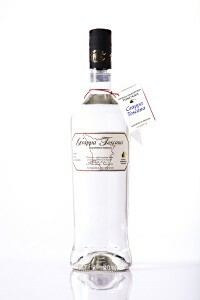 Grappa can also be tasted in various cocktails: as a long drink or aperitive together with prosecco. 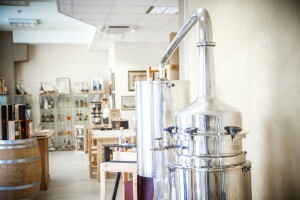 Grappa also has many uses in the kitchen, conferring irresistible aromas on sauces and creams of all kinds.